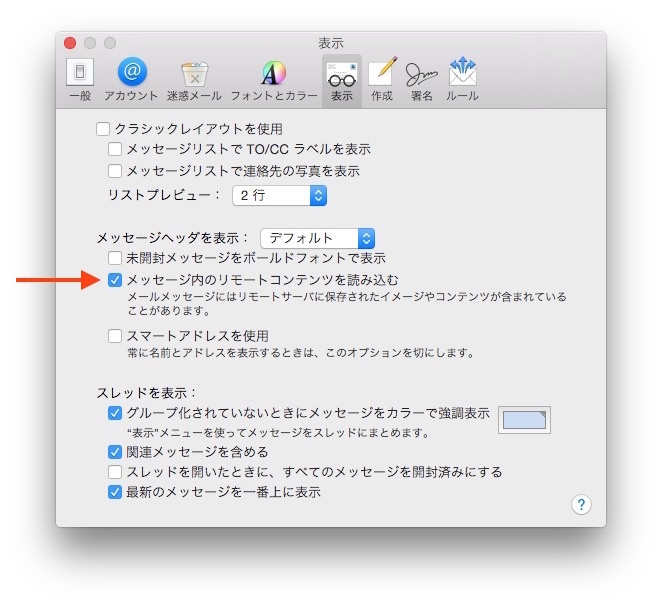 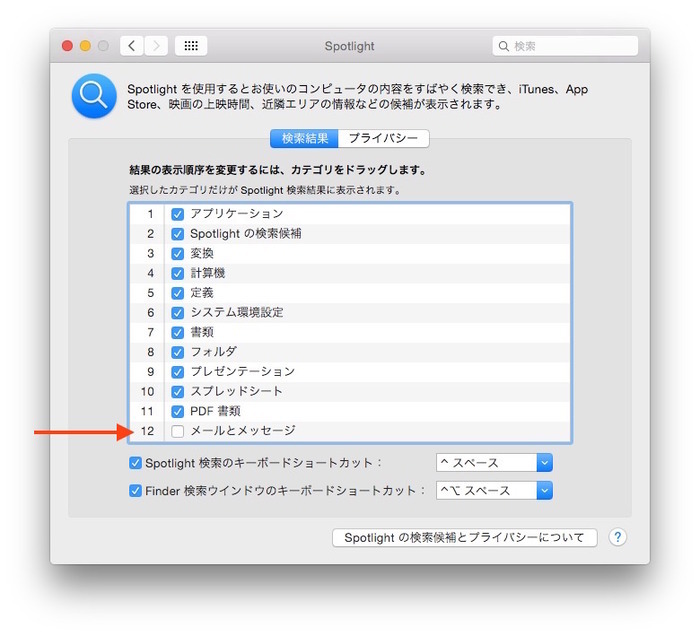 OS X YosemiteのSpotlight機能にMailのセキュリティ設定を迂回してリモートコンテンツを読み込んでしまう不具合が発見される。 | AAPL Ch. The potential privacy glitch affects people who have configured the Mac Mail App to turn off the “load remote content in messages” setting, as security experts have long advised. 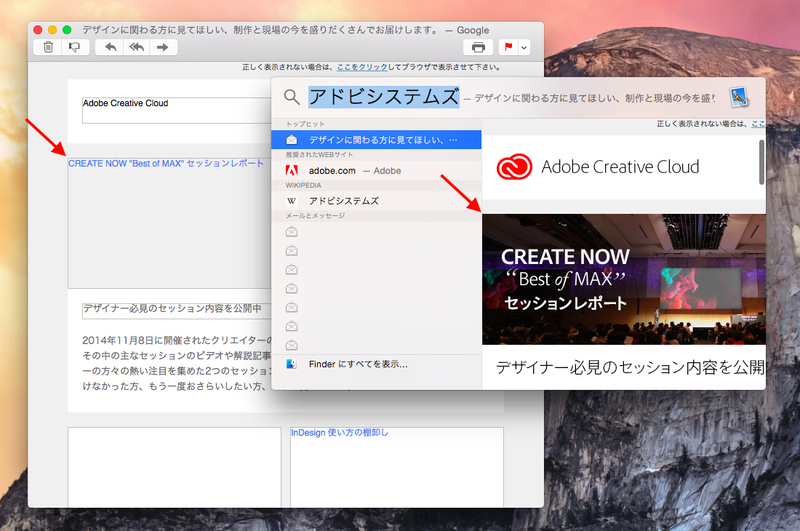 Spammers, stalkers, and online marketers often use remote images as a homing beacon to surreptitiously track people opening e-mail. 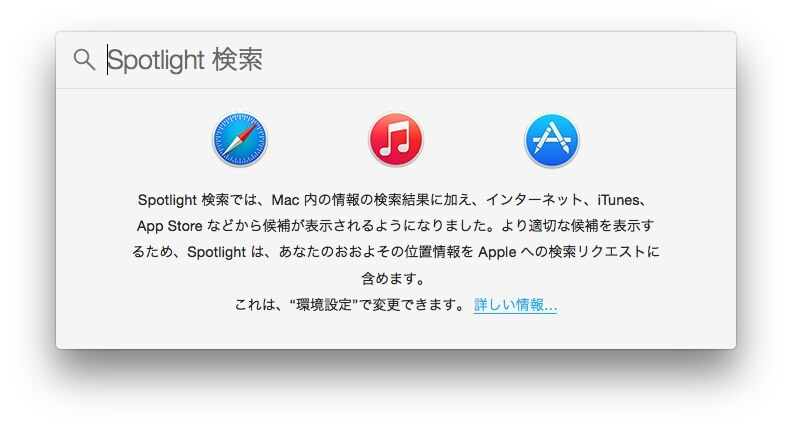 In the meantime, concerned users with the preference to not load remote content in messages can avoid using Spotlight search or disable Mail & Messages from Spotlight’s source list in the System Preferences app until a software update fixing the behavior is released.